At Husky Towing we aim for full customer satisfaction. As veteran providers of comprehensive towing services in Vancouver we know very well what is important to you when in need of a tow. It is our experience, professionalism and dedication to providing top quality service which has enabled us to earn our well-deserved reputation as one of the best towing service providers in Vancouver. We operate nonstop and so are always available, 24 hours a day, all year round. We know our way around Vancouver and have a large fleet of tow trucks and so can guarantee a 30 min ETA to anywhere in or around the city. 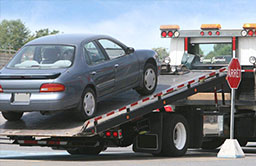 We also specialize in supplying towing services to businesses which need commercial towing services. At Husky Towing we employ only top of their field, certified, extensively experienced tow techs. 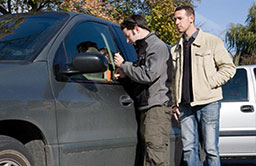 It is they who are responsible for the type of service you can expect to receive when you call on us to provide you with towing services in Vancouver. Naturally, top class tow techs alone are not enough for providing the kind of service we aim to offer. Our techs enjoy backup of highly effective logistics and have at their disposal not only state of the art, perfectly maintained tow trucks but also any and all other gear items they may need. With Husky Towing you need not wonder whether we can provide you with the type of towing service you are in need of. When we say we offer comprehensive towing services in Vancouver we mean just that – we can handle any and all towing challenges our customers may throw our way. Whether it’s a local or a long distance tow, if it’s a light / medium or heavy duty tow, if the vehicle to be towed has been involved in a car crash (accident removal service), if it is a matter of pulling a vehicle back onto the road (“winch” service) or if it’s any other kind of towing service you require, Husky Towing can do it for you quicker and better than anyone else can. When you need a tow you most likely need it ASAP but still wish to be offered an honest rate. 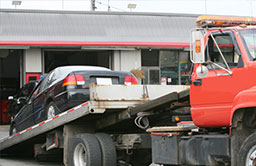 If you need towing services in Vancouver you have Husky Towing to provide you with exactly that. Our 100% reliability means you can count on us to deliver on any promise we make. When we say our techs are top of their field, service oriented professionals, this is exactly the type of tech you will find handling the tow job you need done. At Husky Towing we abide by an honest billing policy. 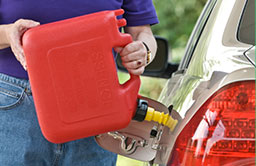 We offer highly competitive rates and never take advantage of circumstances in order to overcharge. This, along with our uncompromising professionalism, makes us the choice of many Vancouver drivers which need towing services in our area. Our office address in Vancouver: 170-422 Richards St., Vancouver, BC, V6B 2Z4.